A DUBLIN COUNCILLOR has urged people to have their say on an application from the city council for a permit to dump in Dublin Bay. Dublin City Council has made an application to the Environmental Protection Agency (EPA) for a dumping at sea permit under the Dumping at Sea Acts 1996 – 2010. Dublin Bay is an important amenity and any dumping of material must be considered carefully. The council officials believe that by dumping at sea it will reduce the HGV traffic and the resulting pollution. It will be for the EPA to decide but every effort must be made to ensure there is no long term impact on the Bay area. Cllr McAuliffe said that a report was sent to all councillors from city officials, outlining that the bulk of the spoil material will be excavated material from inside the proposed Long Sea Outfall Tunnel, which is part of the Ringsend Wastewater Treatment Works Project. According to the city council’s letter to councillors, the tunnel shaft will be bored through bedrock underlying Dublin Bay. The spoil that will result from the excavations will consist of rock of varying sizes, with 70 per cent anticipated to be greater than 2mm in diameter. It said that during the planning for the Ringsend wastewater treatment works extension projects, the disposal of this material “was fully addressed in accordance with the EU Waste Hierarchy”. It said that it could not find a realistic option to reuse the material, and that because of this it is currently proposed that the material be disposed of in licensed landfill facilities in the greater Dublin/Leinster area, for which approval has been received from An Bórd Pleanála. If the material is disposed of by landfill, it will be brought by HGV, and it is estimated there will be 100,000 truck journeys to and from the site. Dublin City Council has attempted to minimise the impact of this by restricting the hours of operation of HGVs and mandating that the Dublin Port Tunnel/M50 be used as the disposal route. The two main reasons why Dublin City Council is now considering the disposal of the material at sea are to avoid the impact of the HGV movements on the local and wider community, and to provide cost savings to the taxpayer on the project’s cost. The area where the spoil would be deposited is an existing spoil ground east of Burford Bank, which is already being used for the disposal of maintenance dredged material. Dublin City Council believes the disposal at sea option is of lower environment impact than landfill. The EPA will determine this following the public consultation. To find out more, visit the Dublin City Council and EPA websites. 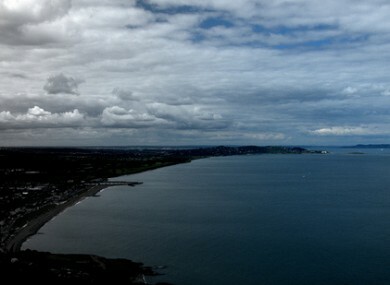 Email “Councillor urges people to have their say on Dublin Bay dumping”. Feedback on “Councillor urges people to have their say on Dublin Bay dumping”.